Here are a few items that don’t quite fit into a standard category. 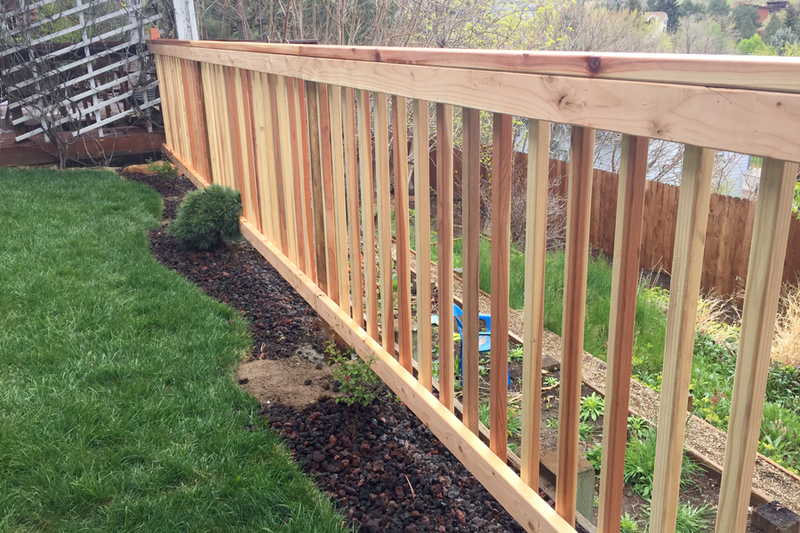 As you’ll see, we are able to do just about any type of outdoor project you may require, just let us know what you are looking for and we are happy to find a unique, interesting, and useful solution. This Boise Bench house is right on a main road. 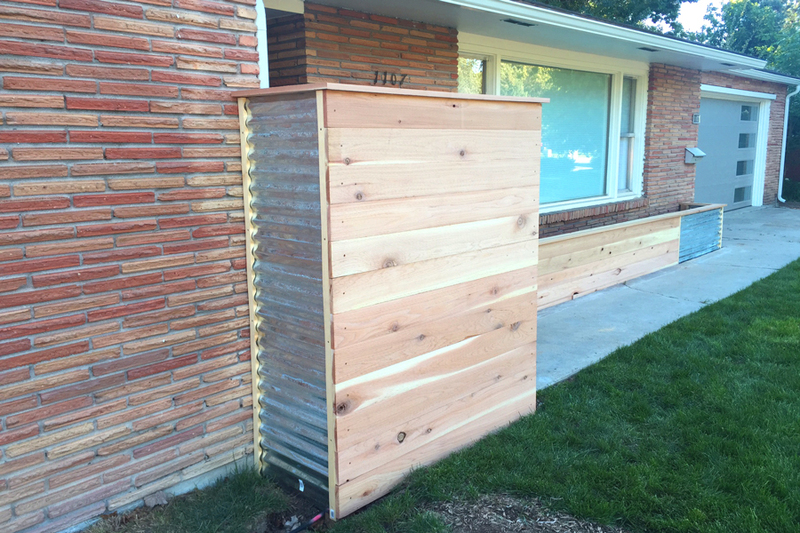 To help solve the feeling of opening their door directly onto the road, we installed this small privacy screen. We added a garden bed as an accent where a cement and brick garden bed once was. 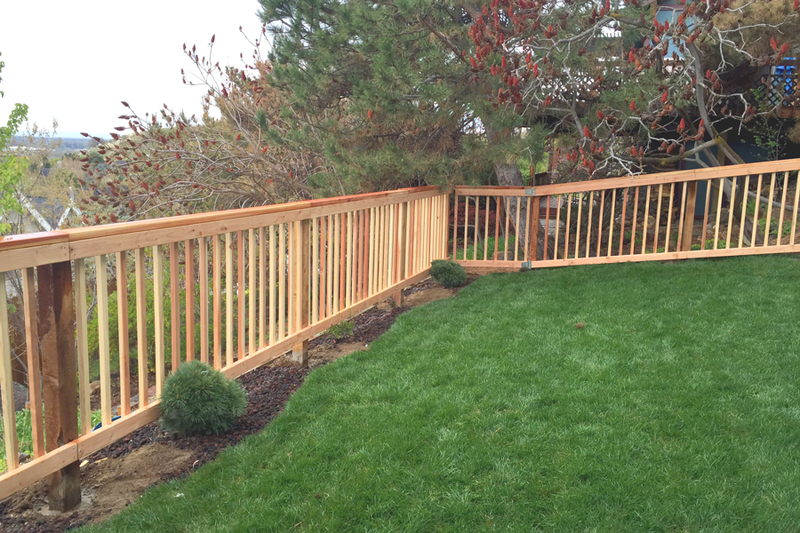 Not quite a fence, this railing helps keep the clients safe from the steep drop in their yard while allowing them to keep their view and add a bit of decorative touch. 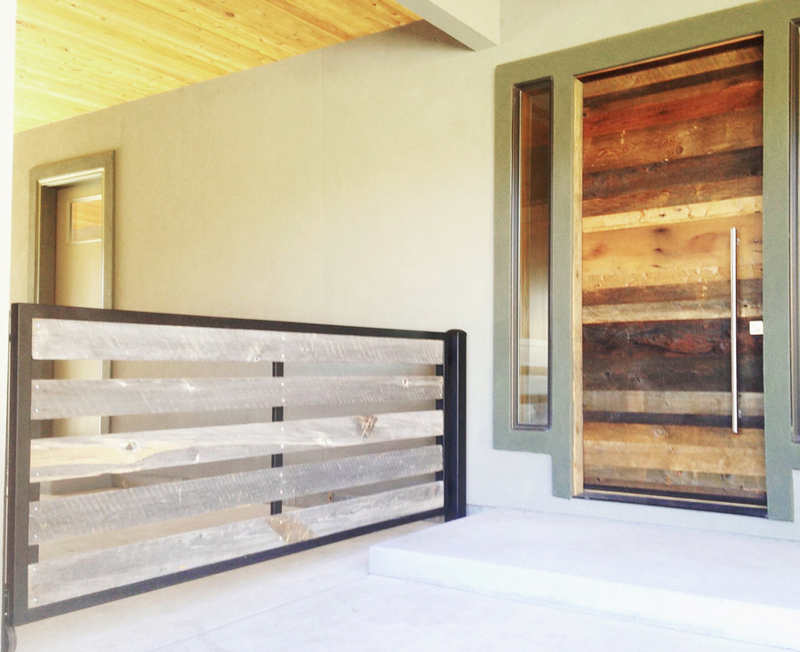 The mid-century lines, but rustic wood are a great compliment to this client’s reclaimed wood front door. 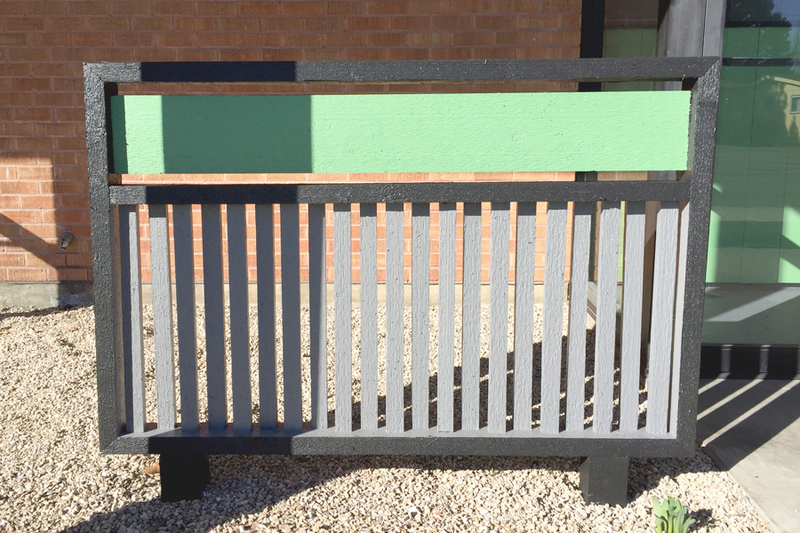 This painted screen allows for the right amount of privacy with the perfect color and style to match our client’s needs. 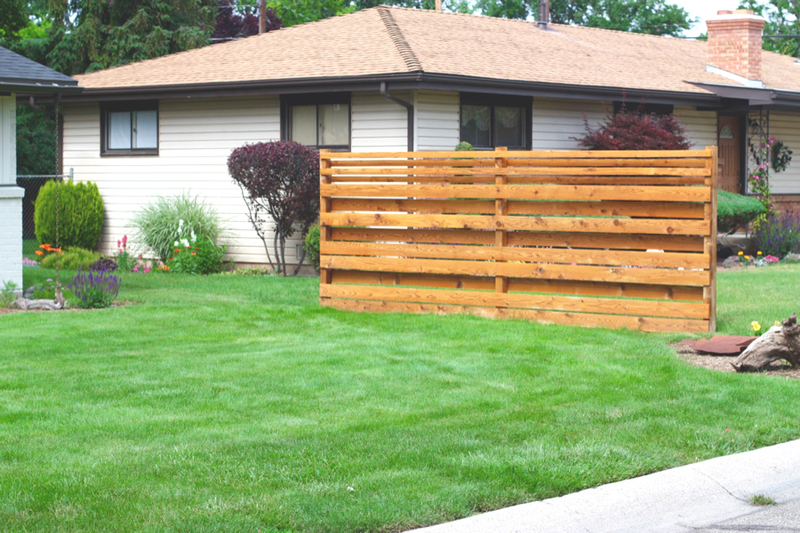 This privacy screen allows for our client to sit on their front deck without having to see the road a house away. It also helps block out some of the noise coming from the busy street while still allowing friendly conversation between neighbors. 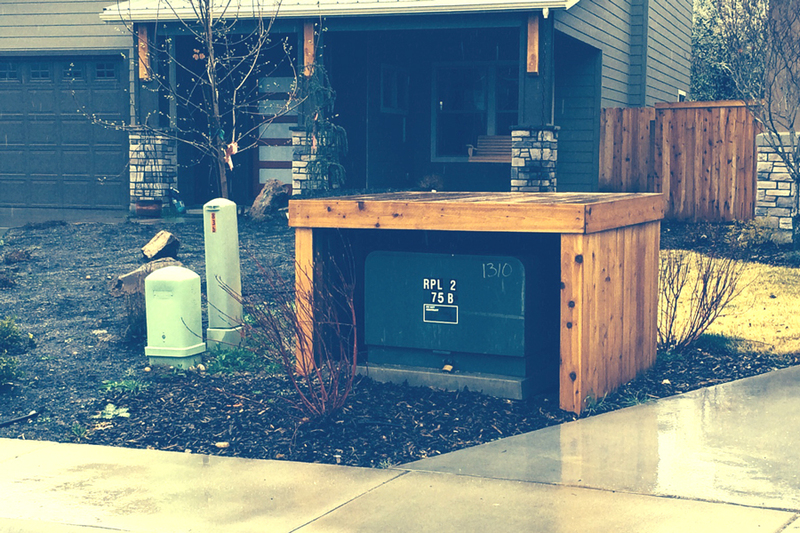 This utility cover is both useful and attractive. A similar design can be used as a small animal shelter, an irrigation pump house, and other practical uses. We are also happy to create a design for a similar application that fits the unique style of your home. 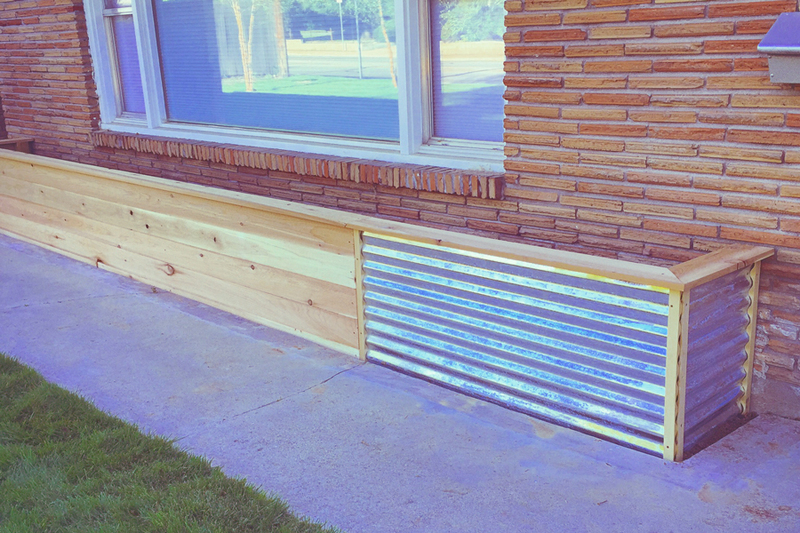 When we tear down wood from a job site, we hate to simply turn the beautiful aged wood into waste. We try to salvage it and apply it as a decorative finish like we did to the shed and bathroom wall below. 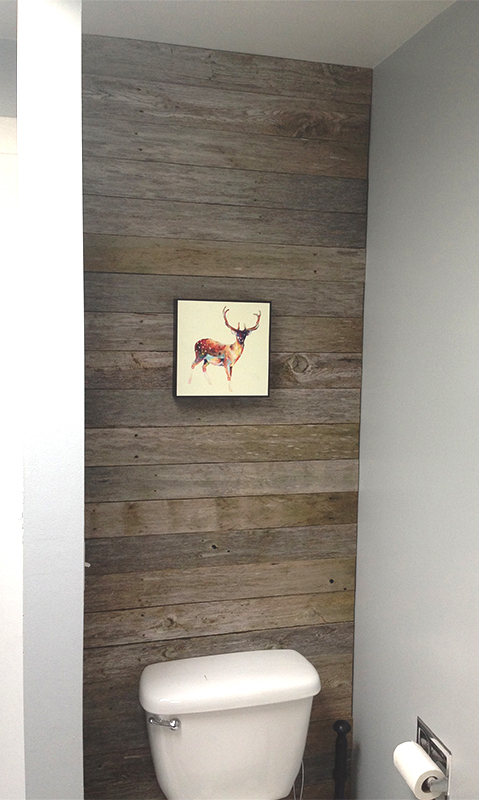 As you can see, the old wood can give both a rustic and modern look. You may have also seen our pickets at one of our favorite local places, Bleubird.